A collection of songs set to popular tunes for each of the 42 letter sounds. 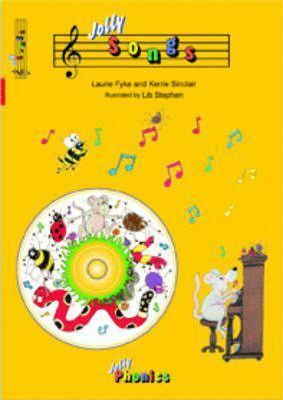 These songs are sung by children (in British English) on the audio CD. Perfect for use at home, one-to-one teaching or small groups. Also includes a spoken guide to all 42 letter sounds and alternative vowels. Games and activities are included in the 24 page book.